Watch me is a clear and graphical designed wall clock that was designed by Rasmus Gottliebsen for Normann Copenhagen. Watch me is characterized by simplicity and enriches homes with timeless colour shaping. As inspiration source for the design from Watch me, Rasmus Gottliebsen had a colour range that he could expand like a fan to observe the variations. This is how the Watch me clock offers an own colour to every time span. Rasmus Gottliebsen explains: "At Watch me it does not come to the split second timing, but to a feeing of the passing of time – a time colour. Minutes, Hours, days or years are shaped to one experience of different moods like this. 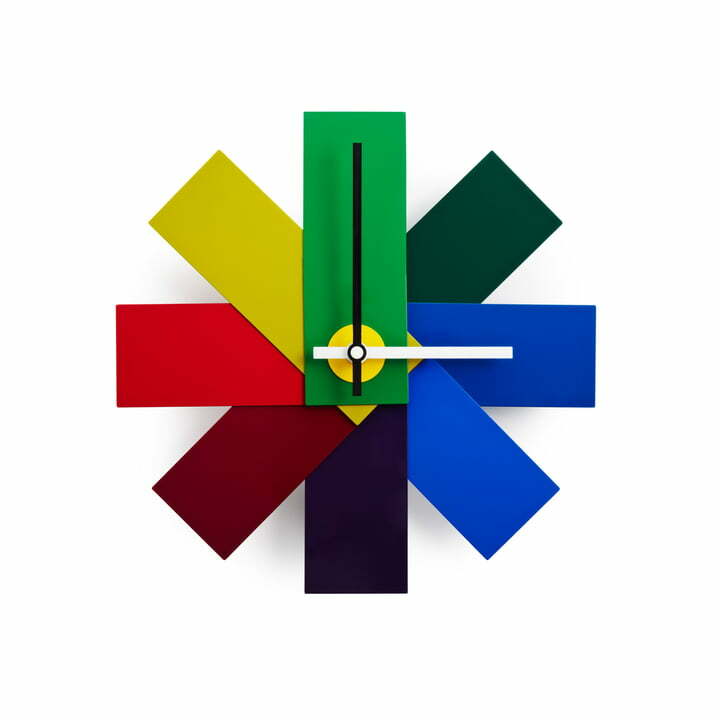 Watch me is a happy and colourful wall clock that creates free room for life with its time game." 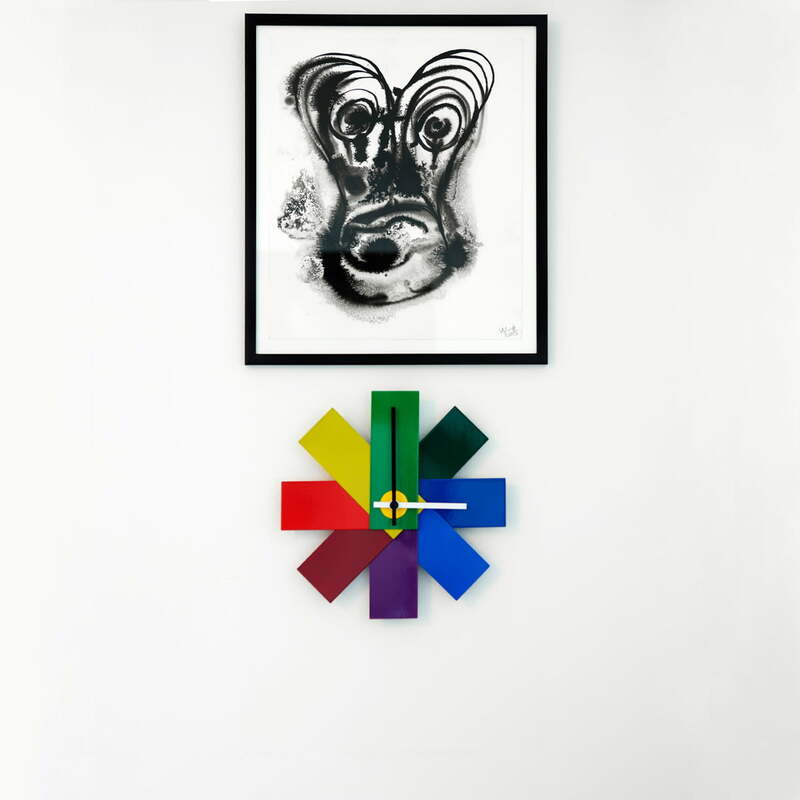 The Watch me wall clock from Normann Copenhagen consists of powder coated steel. It runs with a standard AA battery. The video shows how the Watch Me Wall Clock by Normann Copenhagen is packed and put into operation. The colourful clock was designed by Rasmus Gottliebsen. He was inspired by a colour palette. Individual product image of the Normann Copenhagen Watch Me clock.Watch Me is a clear and graphically designed clock by Rasmus Gottliebsen for Normann Copenhagen. A colour palette that opens like a fan to show its various colours served as a source of inspiration for Rasmus Gottliebsen when designing Watch Me. The Watch Me clock gives any span of time its own colour.